Aeroport Taxi & Limo provides the residents and businesses of Markham with top quality, affordable and professional airport limo and taxi services. Whether you are located on Steeles Avenue, the town of Unionvile or as far north as 19th Ave, we cater to clients all across the City of Markham! Our fleet consists of executive taxis, executive limousines and spacious minivans that are all late model vehicles, providing excellent comfort for you and your guests. We provide pick up and drop off service to and from the airport and always make sure that our customers arrive and depart from their destination on time and on schedule. Our goal is to take the stress out of getting to the airport, and instead provide our clients with the most convenient and comfortable transportation possible! If you are looking for a high class or executive Markham taxi service, we would like to provide you with the opportunity to book with us. As the most progressive taxi service in Markham, you can book a trip via phone, our website, or download our mobile app onto your smartphone. Booking a trip with Aeroport Taxi and Limousine Service gets you the highest quality customer service in the industry and will ensure that you are well taken care of no matter where you are travelling in or outside of Markham. 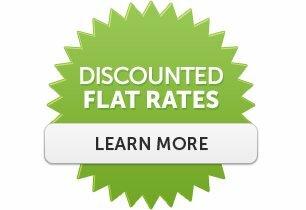 Offering special discounted rates of up to 15 percent off for those travelling to the Toronto Pearson Airport, we also provide a flat rate calculator on our website to give you the chance to calculate the price of any trip in southern Ontario. If you’ve ridden with Markham taxi services other than us before, you know that the rates can sometimes vary slightly depending upon the time of day and the weather among other factors. What our philosophy has always been is to give rates that are consistent, ensuring that you know what you’re going to pay if you pre-book in advance. 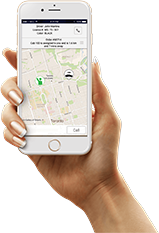 Schedule a Markham cab for as far back as you like – days, weeks, or even months. If you have a special event on the horizon and you want to ensure that transportation is already taken care of, pre-book in advance via our mobile app or website. With your Markham taxi service comes a uniformed driver that has been pre-screened and trained according to our service standards. 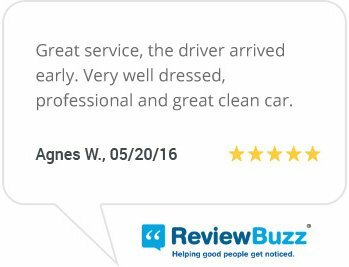 We understand the importance of a professional, courteous driver, which is why we have made this a cornerstone of our service. As your premiere Markham taxi cab company, we operate a fleet of over 130 fully licensed and insured vehicles making us also one of the larger executive taxi companies in Markham. Choose from our selection of executive taxi vehicles, and find the option that is right for you and your guests. Each of our vehicles can accommodate up to 4 persons. Whether it’s for a business function or a trip to the airport, you can always count on Aeroport Taxi and Limousine Service to come up with a hassle-free, convenient ride. 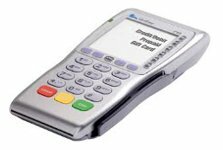 We also provide each of our vehicles with a wireless point-of-sale system, ensuring that payment is quick and easy by cash, credit or debit.As a Markham city taxi service, we have been serving southern Ontario since the late 1960s. That’s more than five decades of specialized taxi services in Markham. We are ready to accommodate any and all of our customer’s needs in the city. Aeroport Taxi and Limousine Service offers a wide range of Markham taxi related services including competitive, discounted flat rates, professionally dressed chauffeurs in a full suit and tie, luggage assistance, unmarked vehicle availability, wheelchair accessible minivan availability, parcel delivery and pick-up services, optional hat and glove service, and various hourly and local or out-of-town limo services available upon request. No matter the time of the year or time of day, we work hard to ensure that when you choose us for your Markham taxi service, that you get everything you pay for and more. Get the highest level of quality service and professionalism by choosing us to facilitate your city taxi transportation needs. The chauffeurs we provide are professional and friendly, our vehicles stylish, and the level of comfort high. Being in the industry for nearly 50 years, we have experience in all manners of professional demands and requirements, and will continue to exemplify high class executive city taxi services in Markham. Don’t settle for less. Book with Aeroport Taxi and Limousine Service today by visiting our website or by downloading our app via your smartphone device. Customers from all across Markham and the Greater Toronto Area have been choosing Aeroport Taxi & Limo as their go-to means of airport transportation for over 45 years! 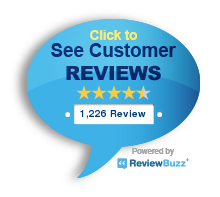 In our many years of service, we have become known for our high quality, professional airport taxi and limo services, and our competitive hourly and flat rate pricing. Our clients also love our lineup of new model taxis, limos and minivans which provide the highest level of comfort possible. Whether our clients require a Markham airport taxi, or an executive limo to a special event in Unionville, we cater to all of our client’s executive taxi and limousine needs! Receive the best Markham airport limo service possible by booking online today, or call 1-800-465-3434 for more information and to reserve a Durham airport taxi for your next trip!